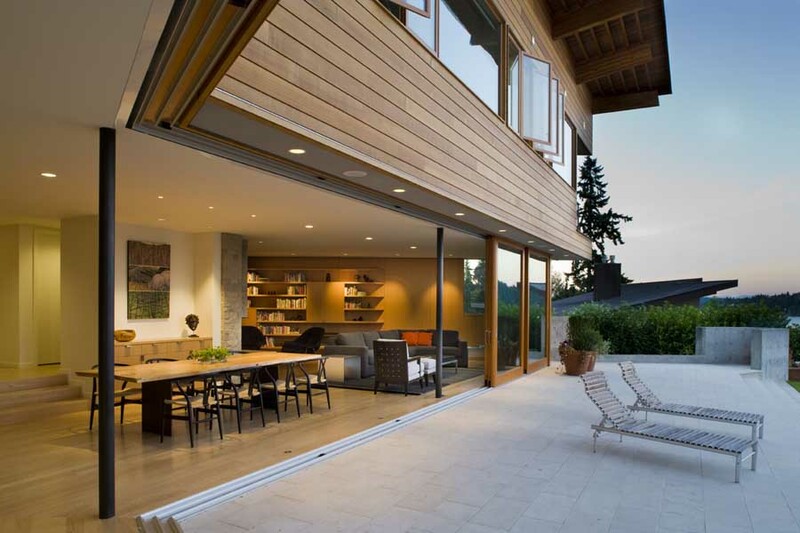 The Madison Park House is the latest custom-spec house to be designed and built by First Lamp. 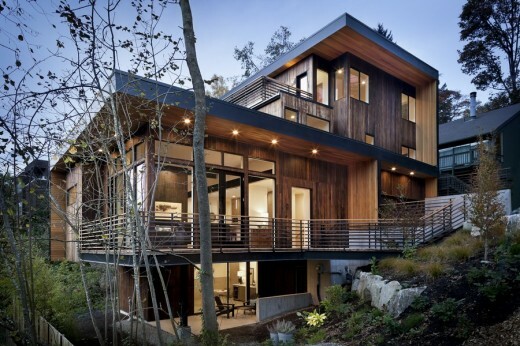 Situated on an existing steep slope lot in the Madison Park neighborhood of Seattle the house grows out of the hillside and allows the main living space to float out amongst the trees. This 3,200 sf, 5 Bedroom house will be an energy star certified residence and is targeted to be 4-star built green. 3. Reduce storm water impact to the site and its surroundings. In many ways, the design response to these goals is very literal. 54 Pin piles, 5 helical anchors, and 110 yards of concrete support the structure and retain the hillside. These are consolidated to the smallest feasible footprint, allowing the topography to surround and envelop the trunk of the house. The main living space is cantilevered from this base much the same way the branches of a tree reach for the sun. 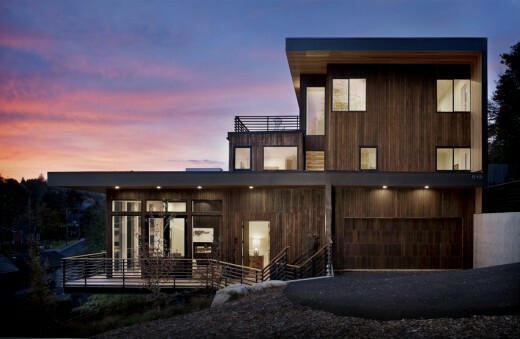 The siding is almost 100% cedar, charred to more closely reflect the deep ambient color under a grove of mature trees. The house is topped with almost 2000 square feet of living roof which acts as a filter, a sponge, and an aesthetic amenity for the residents.